can benefit your law firm, employees and clients. It’s now easier than ever to get contracts signed. Replacing paper with electronic signatures and digital documents can reduces the signing time by up to 80%. 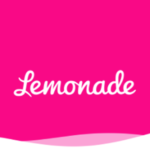 Enable signees to sign contracts or complete forms anywhere, any time. Remind clients to sign with Signority’s “Automated Assistant”. Remove the need for time-costly practices, including scanning, printing or mailing contracts and documents. Prevent tampering with a secure, easy-to-use platform. Save time, cut costs, boost efficiency and reduce your environmental impact by switching to digital documents. Organize all your documents in one place — from external contracts to employee documentation to expense reporting. 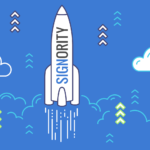 Contracts with Signority are legal, enforceable and confidential. Compliant with US, Canadian and international e-signature laws. Traceable documents let you know when your documents and contracts are signed. Signatory validation ensures that electronic signatures are non-repudiable. Meets standards of international regulations, including ESIGN, the Uniform Electronic Commerce Act, and PIPEDA. Use a platform that ensures your security through every step of the electronic signature process. Secure your data with our multi-level user ID authentication for login and secured communication with a 256 bit SSL encryption protocol. Entrust Limited has partnered with us to further reinforce signer authentication.